Or view larger version. 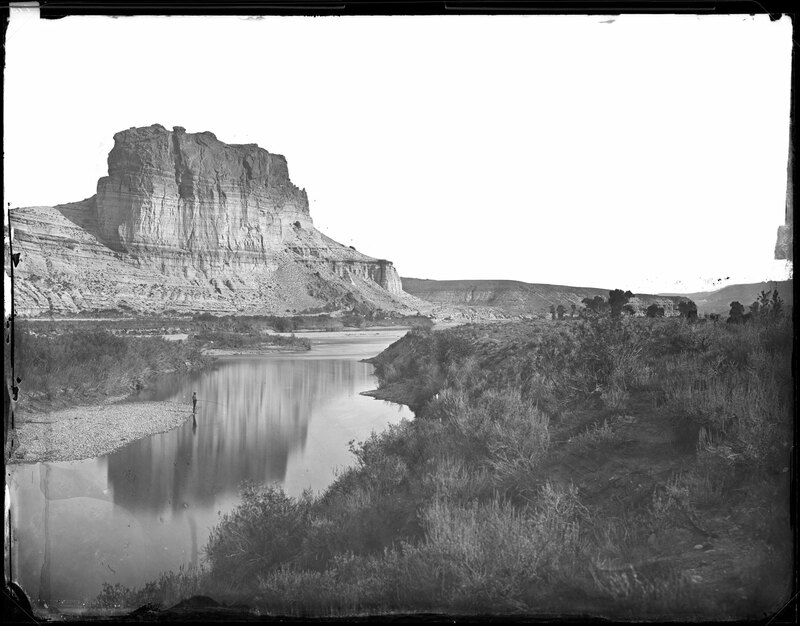 Castle Rock, Green River Valley. 1868. Andrew J. Russell, photographer. Imperial collodion glass plate negative. Collection of the Oakland Museum of California. ACCN # H69.459.1913.